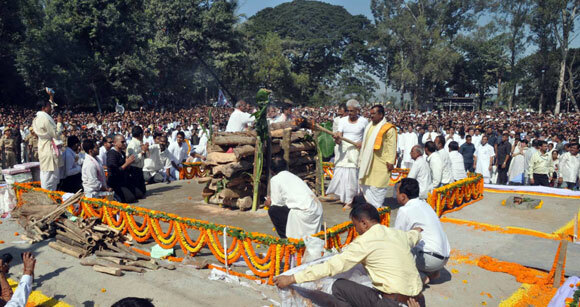 The music legend was cremated on the banks of Brahmaputra on the morning of Wednesday, November 9. Dr Bhupen Hazarika, the music legend and cultural icon who breathed his last on November 5 in Mumbai, was laid to rest on the banks of Brahmaputra, the river which featured in many of his unforgettable compositions. 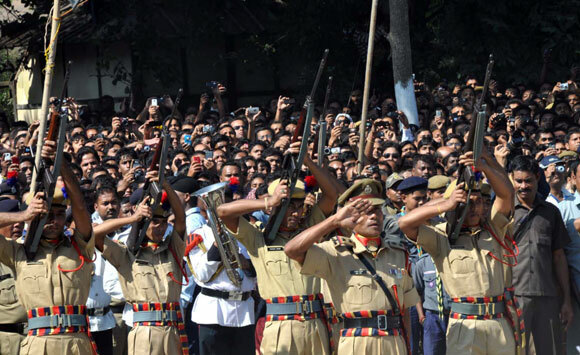 His mortal remains were consigned to flames by his son Tez Hazarika at 10:26 am today amid gun salutes by Assam police personnel, in the presence of thousands of admirers and a host of dignitaries. Dr Hazarika was cremated at a sprawling plot inside Guwahati University campus, close to Brahmaputra River, ending a two-day pilgrimage by fans, family and colleagues who thronged Judges' Field in the city to pay their last respect to the revered artiste, a global luminary who promoted national integration and the spirit of global brotherhood throughout his career. 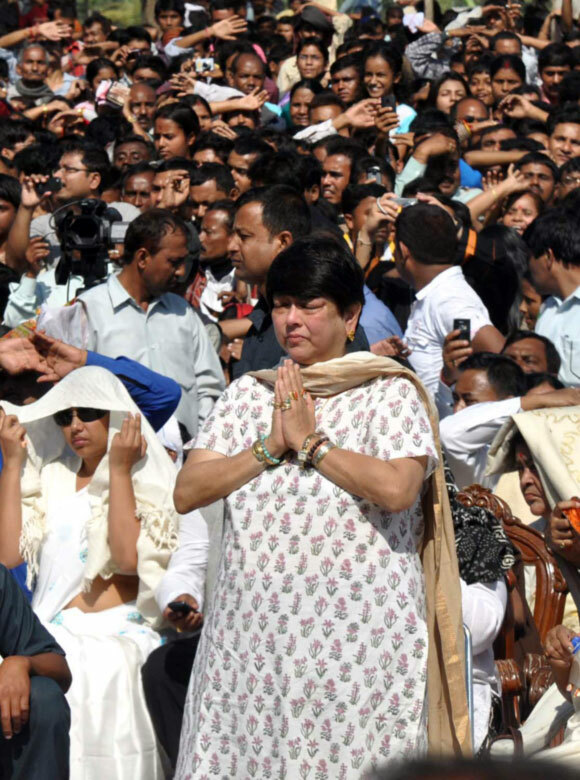 Lakhs of fans lined up along both sides the road this morning when the cortege was taken on a flower bedecked vehicle to the newly-constructed cremation ground in Guwahati University campus along the NH 37 that connects the city to the airport. Guwahati University authorities have donated a 30-year-old teak tree so that its wood can be used to make the funeral pyre for Dr Hazarika who composed and sang the university anthem -- Jilikabo Luitore Par. Tez Hazarika, the legend's son, who had flown down from New York yesterday, lighted the funeral pyre in the presence of senior BJP leader Sushma Swaraj, Governor of Assam J B Patnaik, Chief Minister Tarun Gogoi and many others. However, no senior leader from the All India Congress Committee (AICC) was present at the cremation except Union Minister for Ministry of Development of North Eastern Region and an MP from Assam, Paban Singh Ghatowar who represented the Prime Minister. Sushma Swaraj promised to raise people's demand to accord Dr Hazarika the Bharat Ratna (posthumously) in the Parliament while Assam government pledged to set up a cultural study centre in the name of the noted singer in Guwahati University. The government forensic department has preserved the foot prints of the legend, who will now live in the hearts of his millions of fans all over the country through his songs. The roving bee (uroniya mou) Dr Bhupen Hazarika has finally found his final resting ground on the land that was also his birthplace. Dr Bhupen Hazarika was the only cultural ambassador that Assam had on the global stage. 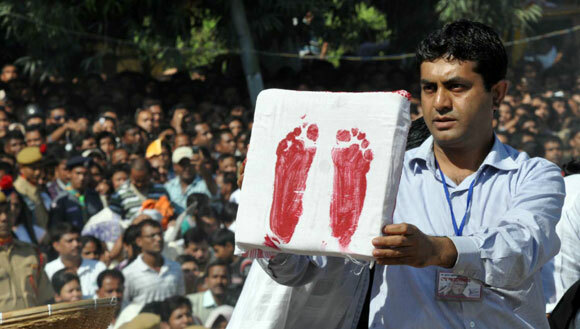 His death has witnessed an extraordinary confluence of people from all walks of life, caste, and creed, and religion, political and social allegiance. Even in death, he remains unparalleled.